IGF’s new programme for new players and new music supported by the Joyce Fletcher Charitable Trust. IGF’s Young Artist Platform (YAP) offers much needed opportunities for young guitarists in the early stages of their careers. Audition winners are offered concerts at all of IGF’s festivals this year, including Bath Guitar Festival as well as workshops and mentoring. Kevin Loh, recipient of the 2010 HSBC Youth Excellence Award for Musical Excellence, was talent scouted by The Yehudi Menuhin School via his YouTube Channel when he was 12 and was awarded a grant by The Rolling Stones to study at the prestigious music school. Since then, his extraordinary musicality has won him many international accolades. 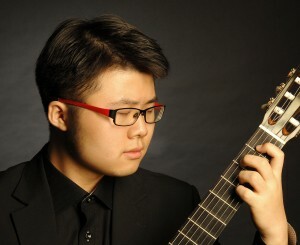 Kevin has also played in international guitar festivals, such as the Malaysia, Calcutta & New Delhi International Classical Guitar Festivals. Giacomo Susani was born in Padua, Italy in 1995. 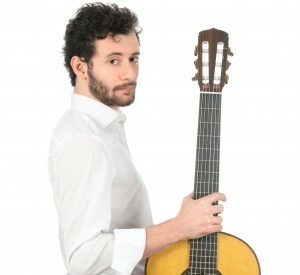 He studied at the Music Conservatoire ‘Arrigo Pedrollo’ in Vicenza under the direction of Stefano Grondona, where he graduated with honours and special mention in July 2013. At the same Conservatoire he studied Composition. In 2014 he enrolled at the third year of the Undergraduate program at the Royal Academy of Music in London in the class of Michael Lewin where he has been awarded the prestigious ‘Julian Bream Trust Scholarship’, an honour that still supports him in his current year of study.